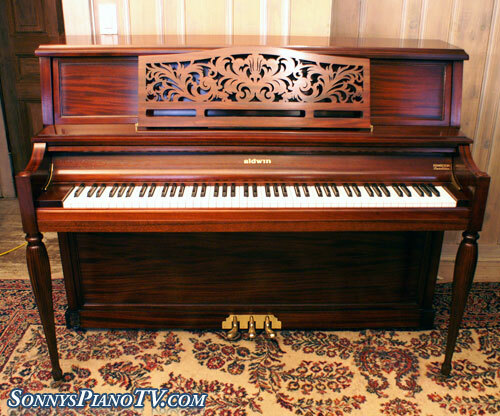 Beautiful Mahogany, Steinway Model L 5’11”. Complete rebuild & refinishing about 5 years ago. Steinway parts, new soundboard, new pin block, pins, strings, Steinway hammers, Steinway wippens, original ivories, sublime, rich, classic Steinway tone. Just regulated and voiced to concert stage performance level. Also piano just french polished. Questions? Call Sonny Direct at 631 475-8046. Free Long Island and NYC delivery. All else continental USA only $475. Warranty. Magnificent Steinway Grand “The Model B” simply the quintessential grand piano. 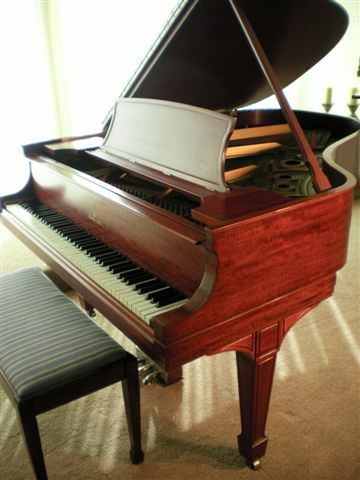 Manufactured during the heyday of Steinway Pianos 1925. Rebuilt April 2011, all high end parts, new sitka spruce sound board, Bouldoc pin block, new Abel “Naturals” Hammers/Shanks/Knuckles, new Mapes strings, new pins, new dampers, bushings, bridge caps, new beautiful high end, hand rubbed satin ebony finish. A piano for the ages. A keeper and lifetime piano. Very special. Rich, sublime classic Steinway B tone. Just back from the rebuilder and refinisher. Regulated and voiced . This piano is going to make someone very very happy. Free Long Island/NYC Delivery. All else continental USA only $475. We ship worldwide. Call for shipping price quotes. Warranty. Questions? Call Sonny Direct 631 475-8046. Steinway Piano Model L 5’11”, Ebony, 1933, new Steinway hammers, new dampers, new strings, new pins, added a few years ago. Plate was re-gilded, Furniture just received a hand rubbed satin finish. Piano has a sublime, rich classic Steinway tone. Original ivories, piano in superb condition through and through. Will last indefinitely with minimum maintenance. Questions? Call Sonny Direct at 631 475-8046. Free Long Island/NYC Delivery. All else continental USA only $475. Warranty. Steinway Model L, sublime tone, recently refinished, recent new Steinway hammers, just regulated and voiced to concert stage level. Beautiful reddish mahogany. Excellent condition original ivory key tops and other all original Steinway parts. Warranty. Free Long Island and NYC Delivery. All else continental USA only $475 for shipping and set up in your living room. Questions Call Sonny Direct at 631 475-8046. Sohmer Baby Grand Piano “Cupid” Model 5’5″. Refinished semi-gloss ebony. New key tops, action just regulated, plate regilded. Called “Cupid” Model because case shaped like heart. Made in 1925 the heyday of piano manufacturing in this country. Sohmer one of the best piano manufacturers, hand crafted classic American Pianos. Warranty. Questions? Call Sonny Direct at 631 475-8046. Free Long Island/NYC Delivery. All else continental USA only $475. for delivery and set up in your living room. Beautiful white gloss Yamaha G1, 5’3″ Baby Grand Piano. Very rich, full spectrum sound, clear and crisp tone. Responsive action. Made in 1982. Excellent condition inside and out. One previous owner. Free Long Island/NYC delivery. All else continental USA only $475. Warranty. Questions? Call Sonny Direct 631 475-8046.